Inspired by a recent trip to Japan, here are my 7 main insights distilled from Deep Value by Tobias Carlisle, in Haiku form. Arigatou gozaimasu. Lead us to poor decisions. What feels right is wrong. We find broken legs abound. If our investment intuition is so often wrong, then the first step to becoming a better investor should be to recognize that we are naturally wired to jump off investing cliffs. The next step involves giving counter-intuitive ideas a chance. After all, as Einstein said, “The definition of insanity is to keep trying the same thing while expecting a different result.” Insanity in this case, is relying on our intuition to help us make wise investment decisions. Next to here you will find the summary of my seven main takeaways from Deep Value. 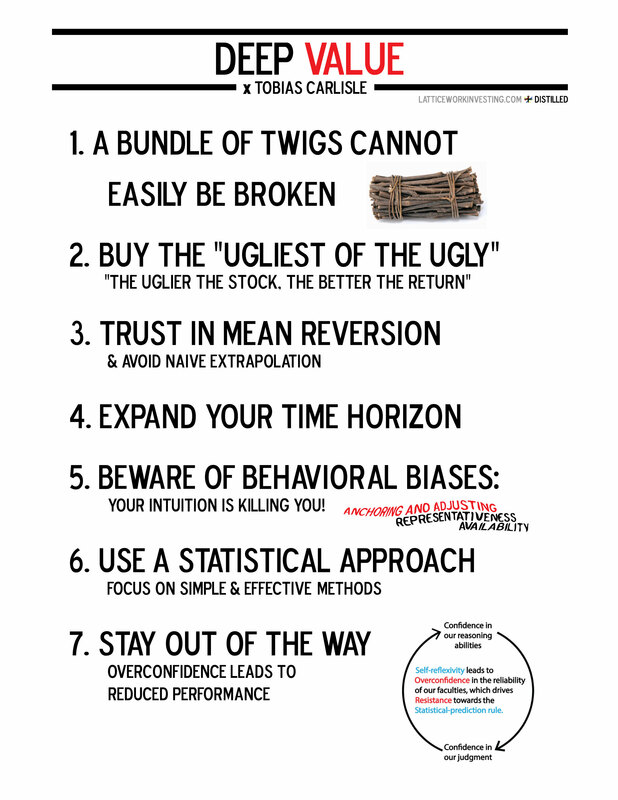 Please feel free to print it out and re-read these points whenever your intuition tries to lead you off a cliff. Within traditional finance, risk is commonly defined as “the currency by which we pay for returns”. Meaning that if we want higher returns, we must bear greater risk. This intuitively makes sense if the markets are efficient. But Deep Value discredits this intuitive assumption. On an individual basis, value stocks are indeed the riskier prospect. Value Stocks, as defined here as net-nets, lose 90% or more in a single year 5% of the time, versus only 2% of the time for all stocks. But the nature of value stocks changes dramatically when they are bundled together. In fact, they have fewer down years than the market. In a study, net-net stocks only had 3 down years in 26 versus 6 down years for the market. This investment phenomena mirrors a quote by Tecumseh, Native American leader of the Shawnee. He said, “A single twig breaks, but the bundle of twigs is strong.” A value stock by itself is like a twig that easily breaks, but finds strength when bundled together. If value stocks have less risk than glamour stocks, then traditional finance states that they should have lower returns. But yet again, Carlisle proves this notion to be wrong. In fact, he shows that value stocks generate superior returns to their riskier glamour stock counterparts. 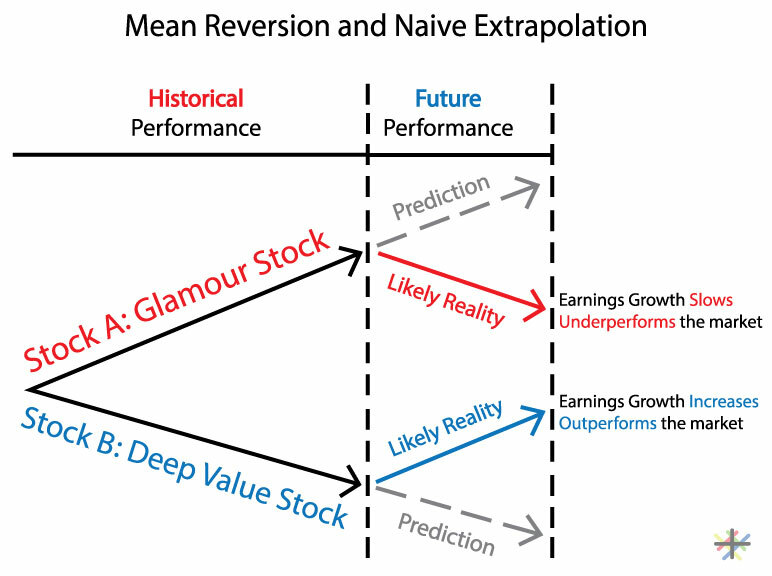 Deep Value presents many studies which show that returns for value stocks are significantly greater than glamour stocks. But perhaps most surprising is Carlisle’s case that the ugliest stocks provide the best returns. The nature of this counter-intuitive element is steeped in Behavioral Finance. Everyone in their pursuit of safety, shun companies that look risky, which creates bargains. The ugliest of the ugly phenomena extends to countries as well. The countries with the poorest recent performance outperform countries with the best recent performance. This investment bias towards glamour and value stocks is perfectly capture by a poem I encountered by Ella Wheeler Wilcox titled Solitude. 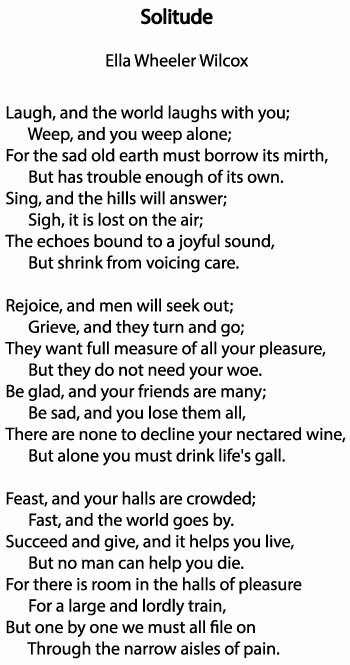 In it she wrote, “Be glad, and your friends are many; Be sad, and you lose them all”. Furthermore, this poem explains why value investing is a successful strategy. The very nature of investing in value stocks is contrarian because you’re willing to do what very few will. Value Investors immerse themselves in grief, woe, gall, fasting, and pain. As a result of these counter-intuitive actions, value investors get counter-intuitive returns. Put another way, value investors get pleasurable returns for hanging around companies in sorrow. While typical investors get sorrowful returns for hanging around companies in pleasure. Deep Value contrasts two starkly different predictive assumptions about the future. The most commonly used assumption is naive extrapolation, whereby the past performance of a company is extrapolated out into the future. The less commonly used assumption is mean reversion, whereby a company’s financial performance will eventually revert towards the mean. On the other hand, naive extrapolation makes the assumption that past results will generally continue undeterred into the future. While this appears to be mathematically sounds, it ignores the “Base Rate”. The Base Rate shows that this simplifying assumption is not true for most companies. As a results, predictions using naive extrapolation often disappoint, while predictions using mean reversion are the more likely outcome. The chart below provides a good visualization of these two methods at work. Mean reversion appears to have an element of Biblical faith to it. It reminds me of a Bible Verse, Hebrews 11:1, which says, “Now faith is confidence in what we hope for and assurance about what we do not see.” Likewise, value investors have confidence in what they hope for (anticipating mean reversion in both fundamentals and valuation) and assurances (base rate, invisible hand) about what they do not see. Whereas most investors mistakenly invest based on what they see (historical figures), but shouldn’t expect (naive extrapolation). To be a value investor, you must expand your time horizon. Mean reversion often takes time. In fact it can take 3-5 years, during which time, you may experience years of poor performance. Most investors don’t have this kind of patience. Wall Street generally isn’t kind to short-term underperformance. Behavioral Bias is really a dual sided topic. First, you must understand the various Behavioral Biases which contribute to your poor investment decisions. Secondly, you must recognize that even after understanding these biases, it remains difficult to overcome them. Anchoring & Adjusting: Causes us to stick with our first impression, even when evidence arrives that conflicts with our view. Representativeness: We use stereotypes to make simplifying assumptions. Availability: Only consider things that are quickly brought to mind. It has been shown that people still fall victim to these three biases despite working to prevent them. “No matter how well trained we are, humans tend to have difficulty with probabilistic, uncertain, and random process. Confronted with problems requiring an intuitive grasp of the odds in an unfamiliar context, even the best investors and behavioral finance experts flounder. If mere awareness that our judgment is clouded by our nature does little to correct the errors we make, how then can we protect against them? So then, what can we do about it? Carlisle offers a solution to this behavioral bias dilemma: Remove yourself from the equation. You can accomplish this by using a statistical based approach. Ben Graham found that the best investment approach is one that follows simple and effective techniques. Net-Nets are excellent when you find them, but they are heavily exploited, illiquid, and there’s a limited opportunity set. Meaning that you can’t grow the strategy beyond a certain size. The Magic Formula attempted to derive Buffett’s investment strategy down into two elements, and has had great results. Quality of Business: ROIC = EBIT/(net working capital + net fixed assets). The Acquirer’s Multiple, developed by Carlisle, is an evolution of the Magic Formula. Carlisle finds that the Quality of Business element in the formula only serves to detract from overall returns. He finds that the formula can simply be boiled down to “Attractive Price”, as defined as (Enterprise Value/Operating Earnings). After Choosing your statistical approach, you may be tempted to alter the results using your subjective judgment, but this should be avoided. 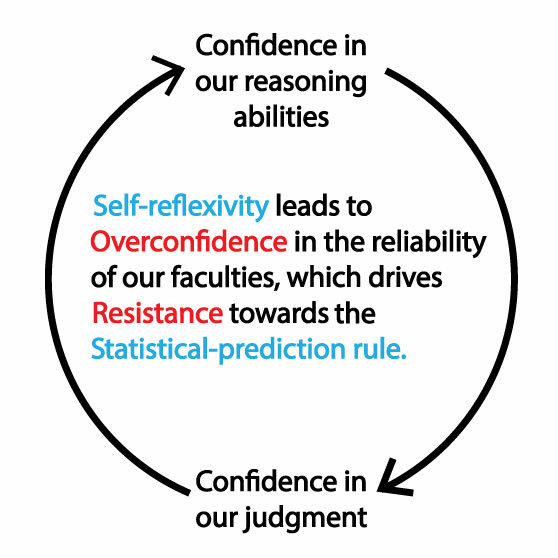 We are largely over-confident in our abilities. We find more broken legs than there really are. In a sense, we want to de-correlate our thinking from that of the markets. But when we introduce our subjective judgment, we begin using more intuition and thereby increase our correlation with the market. Thus reducing returns. Create a simple & effective statistical model using counter-intuitive value investing insights, including mean-reversion. Remember, you are investing based on an expected group outcome, so don’t over-concentrate your portfolio in any one stock. Expand your time horizon to 3-5+ years. Recognize your limitations, and, for the most part, stay out of the way. Despite many findings that demonstrate the soundness and relatively safe nature of a value portfolio, investment professionals largely shun value stocks. The reason for their reluctance is largely centered around self-preservation. Managers must defend their investments to clients who are usually emotional, impatient, and unsophisticated. So if a manager invests in a group of poor companies which are undervalued, he’ll likely have to answer to his clients who see those investments as risky and imprudent. Especially if there’s any prolonged period of underperformance. On the other hand, it is much easier for a manager to appear prudent by simply investing in a portfolio of slightly overvalued glamour stocks that look safe. Since the portfolio looks safe, clients will sleep well at night under the belief that the manager is acting prudently. The manager too will sleep well because he has less stress and greater job security. So be aware, appearances of prudence can be deceiving.